I did some really bad posts about makeup brushes when I first started blogging and figured it was time I did an update on them. I’ve also taken down the old posts because they are that embarrassingly bad. 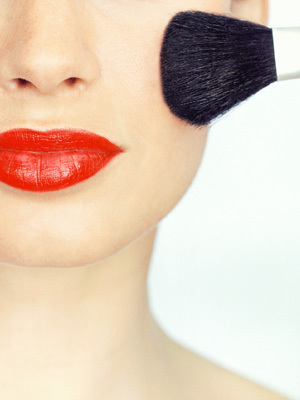 I don’t need brushes, you may think, and just use sponge applicators. Nope. Sponge applicators soak up a good deal of product so you waste your product every time you use a sponge. Also these things aren’t easily washed and dried so they’re not very hygenic to use. (On the other hand it’s easy to wash and disinfect a brush). Using your hands are great and since I’ve taken to using liquid foundations and cream blushes, it’s really useful. But you can’t apply powder products with your hands, and you can’t get precise application (especially for your eyes, and your highlighter) with your fingers either. Also yes, blending. 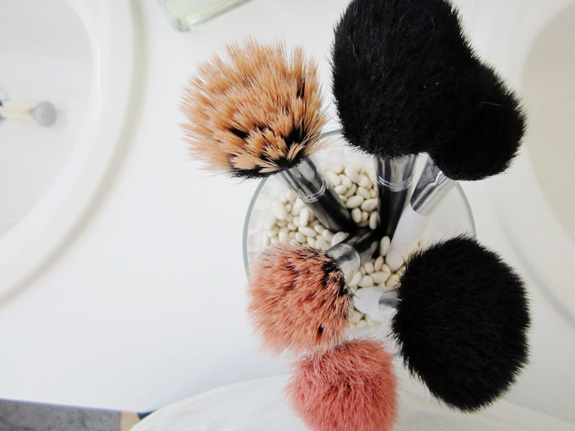 You need brushes to blend. You want the bristles to be soft, not scratchy so yes they shouldn’t scratch your face. At the same time they have to be firm enough to hold up their shape – if they’re too soft and the bristles splay all over the place it’s difficult to get precise application. A full densely packed brush doesn’t necessarily mean it’s a better quality brush than one that feels lighter or fluffier, and vice versa. 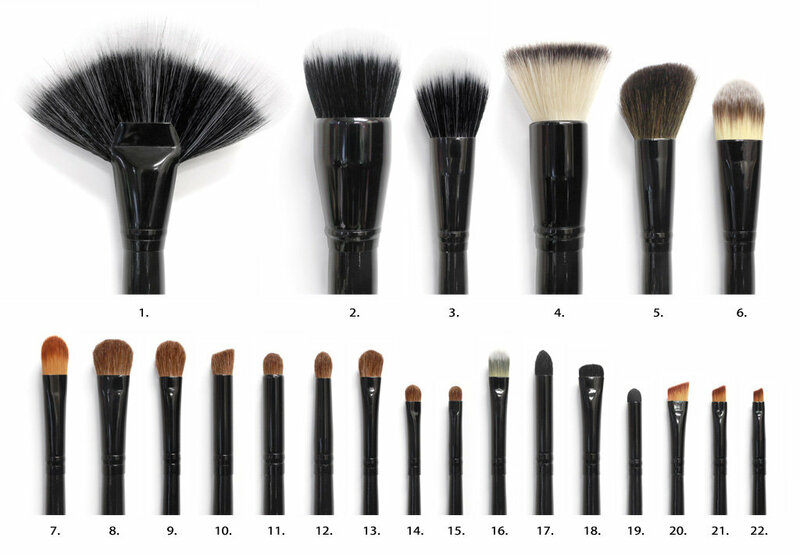 The two different types of brushes are used for entirely different things. 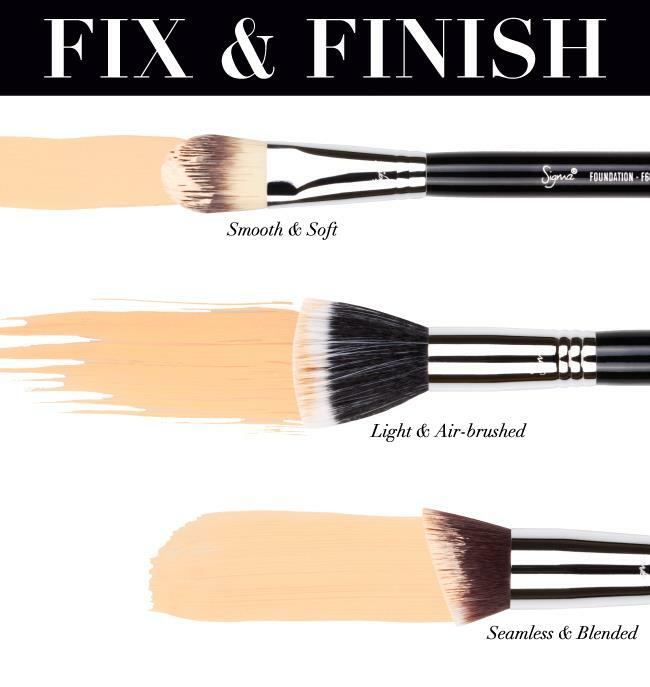 A densely packed brush just means that it will help deliver more colour, which is helpful when you’re using an eyeshadow or blush that isn’t too pigmented. 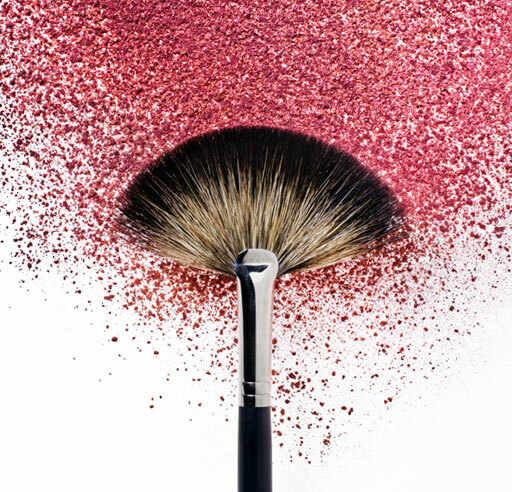 A fluffy brush is great for blending, or for giving a gentler application of colour, especially great when you’re using a really scarily pigmented blush. 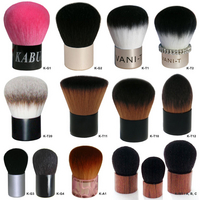 Brushes made out of natural hairs are usually goat or pony hair brushes. These are more porous, and have their own natural texture (the way your own hair its own uneven kind of texture). They’re great for powder products. 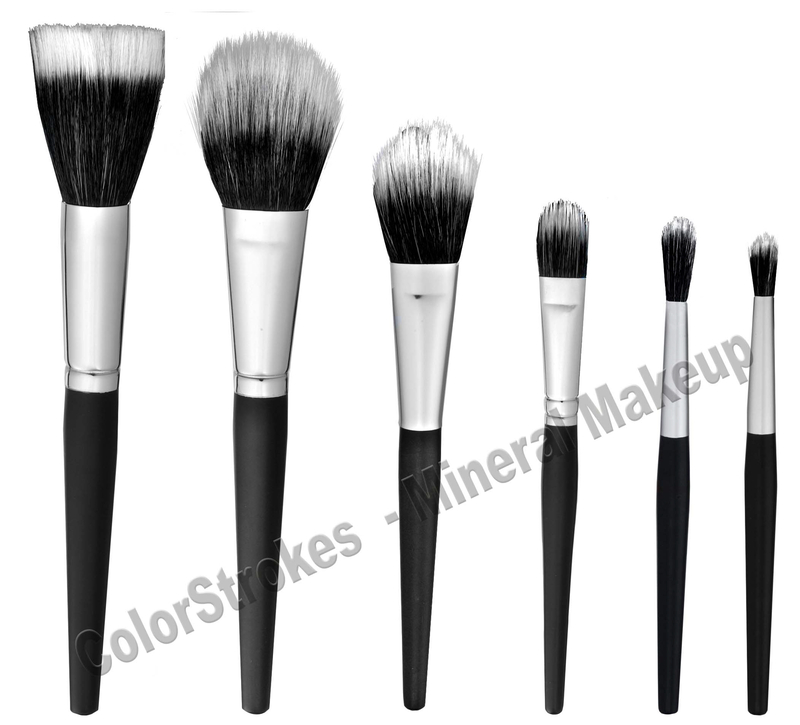 Never use them on cream or liquid products as the porous nature of these brushes mean that they just end up absorbing a good amount of product. Most of my brushes are synthetic (yay cruelty free). They’re usually acrylic, and don’t absorb your product the way natural hairs do, so they’re well suited for liquid and cream products. 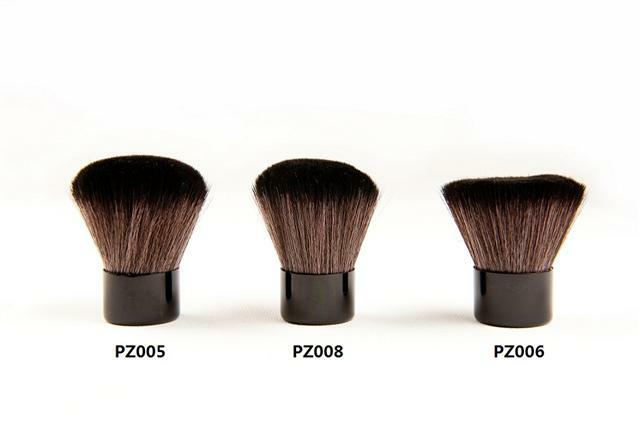 There are lots of brushes out there (like fibre optic brushes or synthetic Kabuki brushes) that work really well with powder products too (yay technology). You need to be sensitive to the size of your face and eye socket area, and therefore the size of brushes that are best suited to your face. I struggled with eyeshadow and blush application for the longest time, until I switched to smaller eye brushes (that really helped with getting more precise application) and a rounder larger blush for the cheek (I was previously using a really small brush so there was always a tiny spot of really concentrated colour on my cheek and I was hopeless at blending at that point). I also love using a large eyeshadow brush for contouring, as it gives you a more precise line. I remember being completely overwhelmed the first time I walked into MAC trying to figure out what were the necessary brushes. Also, they’re crazy expensive, so you want to be sure that the brush you pick will be one that you keep using. 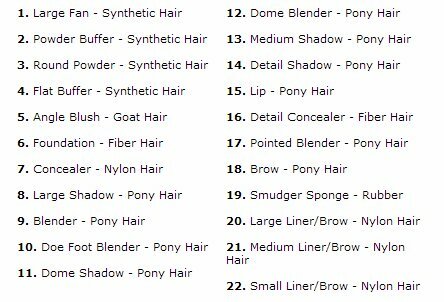 So here’s my list of essential brushes, these being brushes I use frequently. I own two of these, and I tend to use the larger one more, as it’s the perfect size to apply blush on my cheeks. 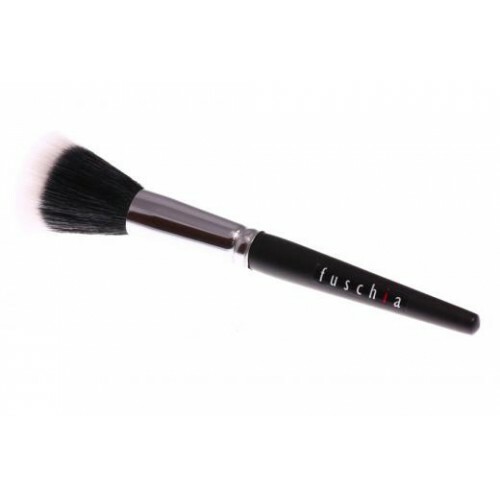 It’s best used when you brush it gently on the skin in circular motions, which gives a beautiful airbrushed finish. Do be careful when applying this, especially with liquid products as the white fibers absorb a lot of product easily so you might find yourself overapplying your foundation. Less is more with this brush. Also, since these tend to be quite fluffy, they’re fantastic for sweeping away excess product that had fallen on your cheeks and under your eye. 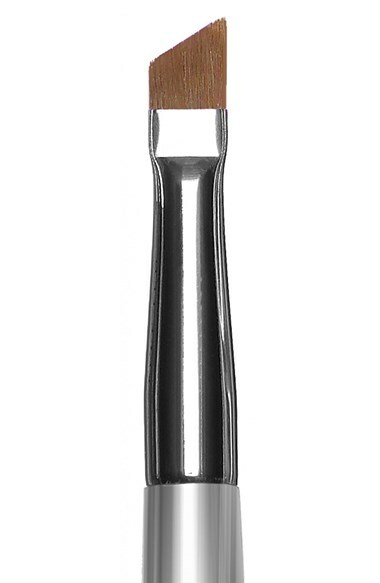 Skunk brushes that are a flat topped shape like this are great for foundation and blush. Image from here. But duo fibre brushes are also popping up everywhere in all shapes and sizes. I’m not sure how effective they are for eye makeup, but they’re great for the face. Image from here. These are small soft and densely packed brushes. This is fantastic for buffing powder products (move in small circular motions with a little more pressure than you would with a fibre-optic brush) into your skin. You definitely get more intense colour than you do with the fiber-optic brush. I use my Kabuki brush for my pressed powders to get higher coverage. This is the most important brush ever. I use my angled liner brush for applying eyeliner (the angled liner makes it perfect for achieving a cat eye), applying highlights to the inner corner of your eye and doing my eyebrows. I’ve also used it to fill in sparse facial hair when doing stage makeup. You can also use it to shape your lips (especially when you have uneven lips). I own three of these. The Bobbi Brown Blush Brush. Image from here. 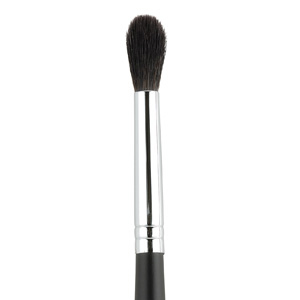 You should have a soft dome-shaped brush that fits the apple of your cheeks (make sure you get one the right size!) You want it soft and long haired so it doesn’t disturb your foundation underneath while still applying adequate colour. Ideally, you’d have two of these. One that’s a little stiffer to apply colour more precisely, and a fluffier brush for softer application and to make blending easy. The Urban Decay Naked 3 palette comes with a duo ended brush, one flatter and more stiffly packed on one side, and the other side is all light and fluffy. I use this brush more than any other eyeshadow brush since I got it. Image from here. This is meant for blending your eyes. Make sure you get one that isn’t too big to fit in your eye socket and crease. I like using a large one to contour my cheeks too. Some people may not see this as an essential tool, but personally I use my pencil brush a lot. A good one will help you blend your eyeliner, apply makeup to the ‘V’ of your eye and crease, and apply highlights to the inner corner of your eye and brow bone. 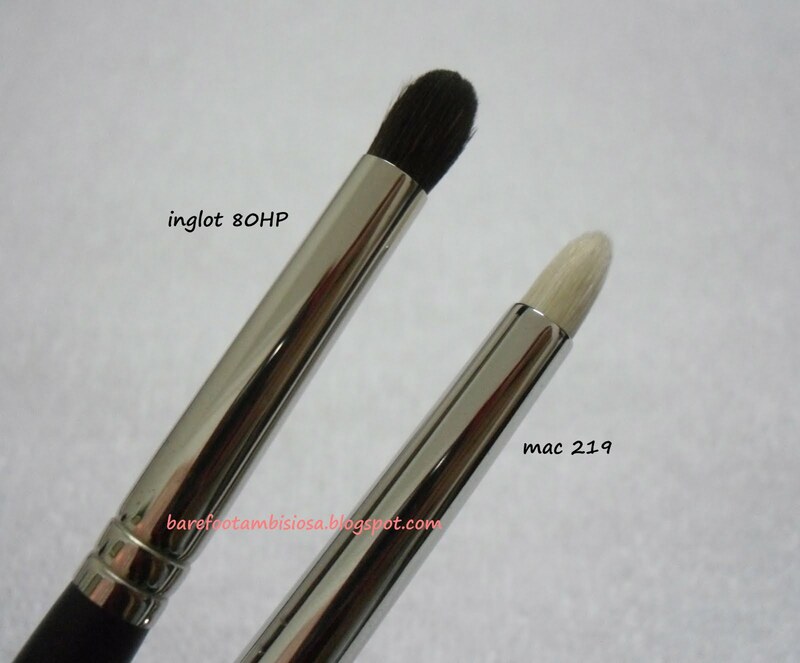 There are two kinds going around the market, one that’s a little more fluffy and blunt (see the Inglot brush) and one that’s a little more pointed (see the MAC brush). I prefer the fluffy one for applying a light wash of colour and blending, while the pointy one is better for more pigmented colour and for depositing colour on the inner corners of the eye. This is just necessary to get even precise application on the lips, especially when you want to get at the corners. There are a number of ways to use it, like you can apply your lipstick directly from the tube on the lips and you use this to draw around the corners of your mouth first then fill it in. Experiment and have fun, a lip brush is one of the easiest things to use. OCC Lip Tars come with a free lip brush with every lip tar you get, so that’s a good place to get a fantastic new lip colour and a free high quality lip brush. I mentioned this in my post ‘A Beginner’s Guide to Makeup’ and recommended Ecotools and Cosmetica (the latter available at select Guardians and Watsons). ELF, Coastal Scents and Real Techniques are also affordable brands that are constantly raved about by beauty bloggers around the world (though I haven’t personally tried them). I’ve found an online retailer based in Singapore that actually carries all the above brands, and at affordable prices, do check them out. I wash my brushes with a shampoo and warm water (never use hot water that just weakens the glue that holds the bristles to the brush). I also spritz them with a bit of MAC Brush Cleanser (which has alcohol) to disinfect them before use. 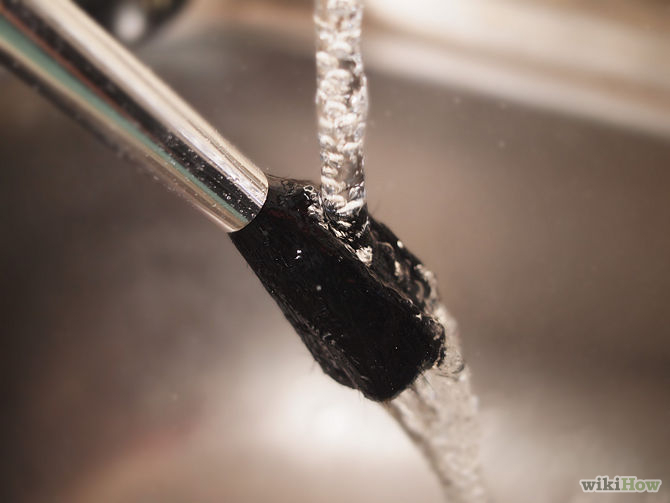 There are lots of other methods out there for cleaning your brush. Michelle Phan has a recipe for olive oil and detergent – the detergent disinfects your brushes while the olive oil moisturizes the hair. I just leave my brushes on a paper towel to dry. It’s best to be able to hang them somewhere upside down. Australian makeup artist Rae Morris came up with a great concept – magnetic brushes for easy storage and drying. Never dry your brushes hair-side up. It means that the water drips down to the handle of your brush and the glue just comes loose. 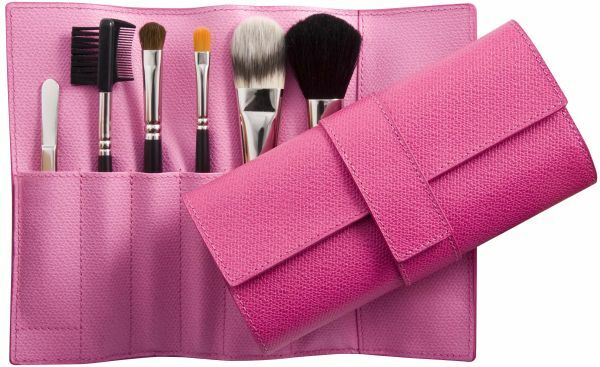 Store your brushes in a cool, clean (you want it kept clean after all that hard work washing it) dry place. There are brush rolls you can buy, but if you like to store them in the open. I place my brushes in candle holders I bought from Ikea, or you can store them in glass mason jars. That’s about all I can think of for makeup brushes. Do add in the comments other tips and tricks you’ve had with your brushes, or if you think I missed anything out. I should be tackling primers and bases after this. This entry was posted in Tutorials and tagged Beauty, beginner series, brushes, Cosmetics, makeup, makeup brushes. Bookmark the permalink. favourite brush at the minute has to be Louise Young’s LY34 brush!